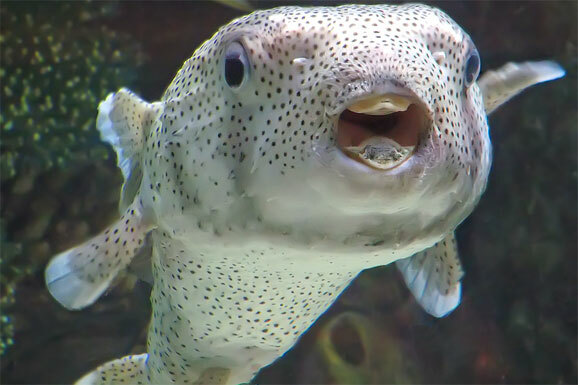 What it is: Fugu, or pufferfish, is one of the cutest fish on the planet. If Disney were to design a fish it might look something like a large-eyed fugu in its puffed up form — somewhat ironic since fugu is also the world’s most poisonous fish. Why it’s lethal: Don’t blame the poor pufferfish. It isn’t its fault that it has deadly concentrations of the poison tetrodotoxin in its ovaries, liver and skin. That’s the work of bacteria that’s found in the Pacific (but not Atlantic) pufferfish. The same bacteria lives in other sea creatures including triggerfish and blue-ringed octopuses. How to eat it: While some markets in Japan sell fugu for shoppers to cook at home, might we suggest going to a restaurant instead? And maybe this isn’t the time to look for the cheapest restaurant either. A chef must go to school of years (usually two or three) and pass a series of tests to obtain a license to prepare fugu for the public. The fish is available at local restaurants throughout Japan. 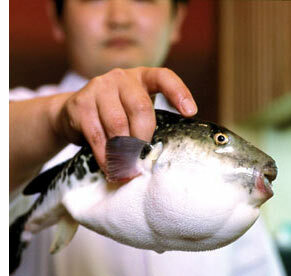 The most delicious (and also most poisonous) variety, tora fugu, should run you about ¥10,000 (roughly US$120) per entrée. 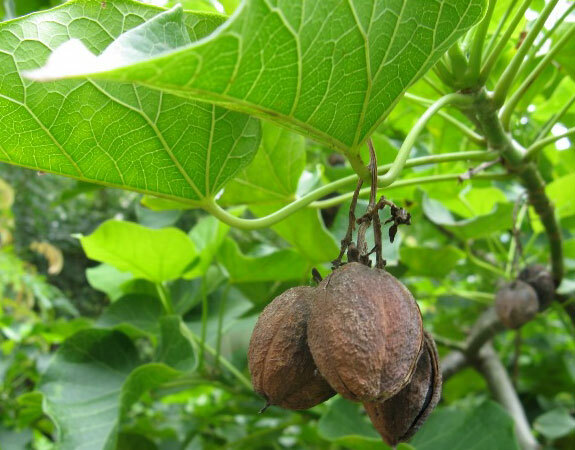 What it is: The Indonesian name for pangium edule, buah keluak, translates as “the fruit that nauseates.” Though it isn’t the football sized fruit that people eat (potentially at their peril) but the seeds inside the fruit. Why it’s lethal: The seeds of the pangium edule contain hydrogen cyanide, the same compound Nazis used it in their extermination camps and some hunters (from primative Javanese hunters to modern day whalers) use in small quantities to help subdue their prey. Air that contains more than 5.6% hydrogen cyanide is explosive! How to eat it: There are two primary means of leaching the hydrogen cyanide from the pangium edule. One is to boil seeds without their shells and then soak them in water. Another is to bury boiled seeds in ash and banana leafs for a month or two. 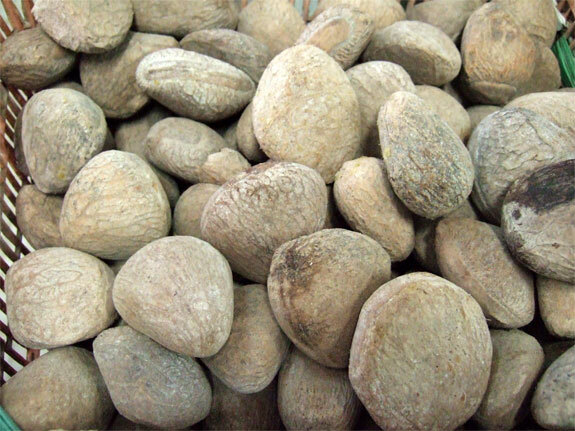 The detoxified seeds are then sold in markets, either whole or ground in a black keluak powder, to make a variety of dishes. On Java look for rawon, a black soup made from the seeds. Where to find it: In the north and east of Namibia, though it is served only in private homes (probably — we’ve lead tours through Namibia and have never seen it on a restaurant menu). What it is: A particular species of bullfrog, Pyxicephalus adspersus, that has been little studied by scientists despite going through an unusual metamorphosis that greatly alters the frog’s appearance. Why it’s lethal: The good news: You’d need to consume several poisonous bullfrogs for that to be your last meal. The bad news: it doesn’t take much of the bullfrog’s poison to infect your urinary system and causes horrible burning pain there. How to eat it: The French typically only eat the legs of frogs. What wussies! In Namibia locals eat the whole of the giant bullfront except for the gastrointestinal tract. The proper method of preparing a non-poisonous bullfrog is the subject of much folklore. Some say it must be cooked in a pot lined with wood. Others say the frog’s toes must be cut off before it is prepared. 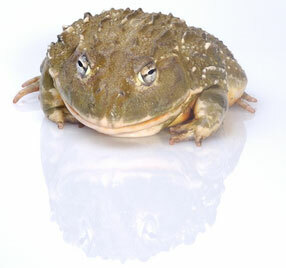 Most likely, though, it is only the adolescent bullfrogs that are poisonous. Tip: If you do eat a poisonous bullfrog it is said that you can relieve the urinary-related symptoms by peeing on a hot clay pot. Spot Cool Stuff does not know whether this treatment works and vows to never find out. 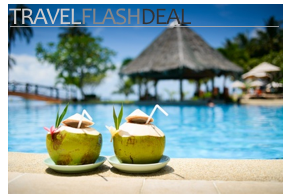 Where to find it: Jamaica primarily, but also Cuba, Haiti, the Dominican Republic and most countries in western Africa. What it is: The fruit of a tree of the same name. 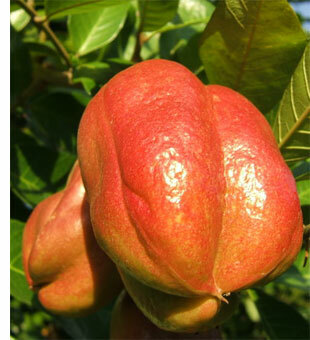 Ackee is an evergreen tree. 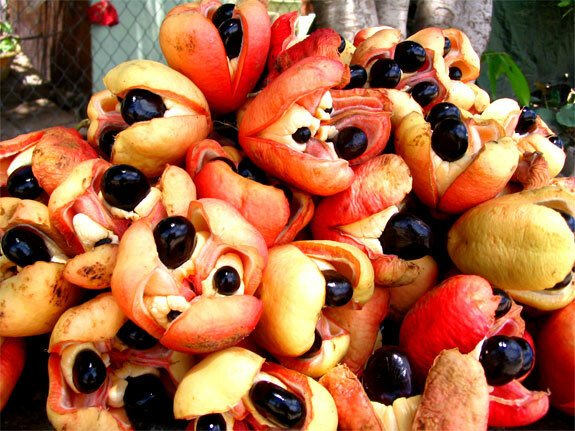 In Africa ackee fruit is also used to make soap and the bark is used as a component in herbal medicines. Why it’s lethal: You’ve got two things to worry about: One is the seeds, the other is fruit that isn’t ripe. Removing the seeds is easy enough. Selecting only ripe fruit requires a bit more care, one reason why some countries have strict rules on the importation of ackee products. Eating unripe ackee will cause an unfortunate dinner to contract Jamaican Vomiting Sickness (yes, that’s the clinical term). In addition to the obvious symptom, the afflicted are prone to seizures, comas and possibly death. How to eat it: Dishes with ackee can easily be found at local restaurants around Jamaica. 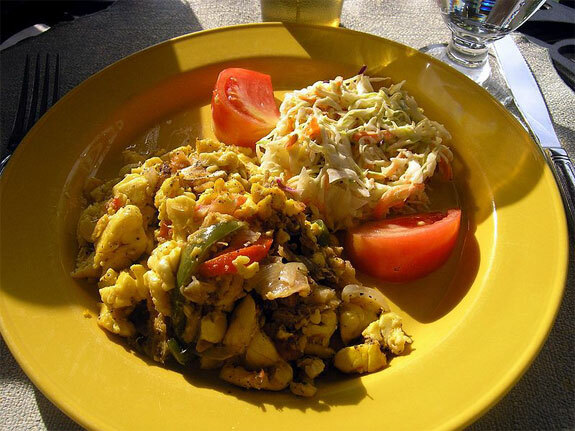 We’re partial to ackee and saltfish, the combination of which is arguably Jamaica’s national meal. For what it is worth: Spot Cool Stuff has consumed dishes with ackee numerous times in Jamaica without any (apparent) negative effects. What it is: A delicacy, which some Icelanders consider their national food, made from a particular species of shark. To prepare it, the shark is first buried in a sandy, gravely hole to push all the excess water out. Then it is left to ferment for some weeks. Then it is cut into strips and hung up to dry. The entire preparation process takes around six months. Why it’s lethal: The species of shark used to make hakarl — Somniosus microcephalus or Greenland shark — has no kidney. The lack of that purifying organ makes the shark meat full of toxic trimethylamine oxide, though the sharks themselves live perfectly well with this arrangement: their typical life span is around 200 years. How to eat it: With your nose plugged! Hakarl is usually describe politely as “fermented shark” but another way to think of that is “rotten meat.” Sticking your nose in a portion of hakarl feels like being whacked in the face with the putrid carcass of a musk ox. Still, when in Rome . . . . Hakarl can be found in traditional restaurants and most supermarkets across Iceland. 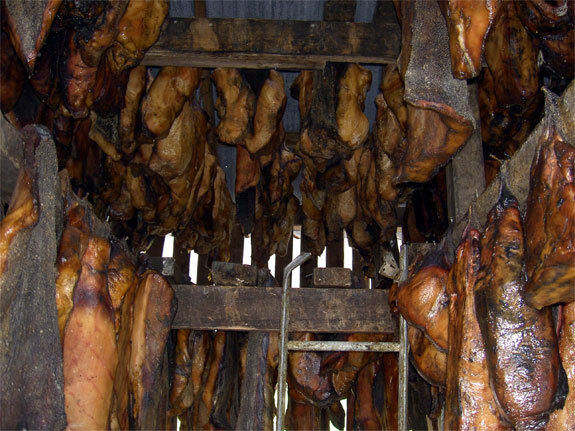 If you want the full local experience eat hakarl along with brennivín, an 80-proof clear liquor made from potatoes. When eating hakarl we suggest lots and lots of brennivín.  Ironic in the Alanis Morissette way, not according to the technical dictionary definition. Hmmm I like to think of myself a pretty daring eater. There’s really not much I won’t try (except rocky mountain oysters- no thank you) but I think I will pass. Cool list though! What a yummy dishes you have shared with all. Thanks for sharing you are dishes and keep on doing this. That dish made with Ackee better be amaaaaazing if you have the chance of getting Jamaican Vomiting Sickness in the process of eating it. Hakarl is a lot of fun to eat! Even a lot of Icelanders are grossed out by it. The odor reminds me of a cross between cat pee and dirty diapers. I certainly wouldn’t call it delicious, but I’ll take it over gefilte fish any day! YIKES!! i am glad to say i have eaten NONE of these 5 spectacular foods. WHEW! 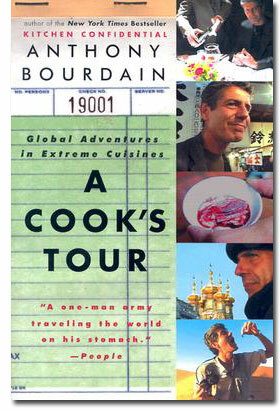 love this gourmet adventures month!! “Vomiting Sickness?” …I don’t like *either* of those words. This was an interesting collection of foods I’m most likely to take a pass on. Thanks for the imagery!